Commercial Program Manager at Etisalat Misr, one of the leading telecommunication companies in the region.
? Develop and direct the implementation of goals, objectives, policies, procedures and work standards where applicable for the assigned program; interprets and complies with Commercial KPIs.
? Monitors and directs progress of the assigned projects to ensure that policies and procedures are being followed, that goals and objectives are met, and that services and projects are being accomplished efficiently and effectively; takes corrective action as necessary and relieve subordinates of some difficult, sensitive or controversial projects.
? Plans, organizes, administers, reviews and evaluates the work of subordinate.
? Provides for the selection, training, professional development and work evaluation of subordinate staff and makes recommendations on hiring, termination, promotion and discipline as required.
? Monitors and stays abreast of technological, legal and operational changes that affect the activities and work processes of the program; makes recommendations for and develops and carries out improvements to the governance processes.
? May act for the Head of Department as assigned. University Degree in Business Administration or Engineering.
? Minimum 8 to 10 years Experience.
? (Area of experience) Telecommunication.
? Excellent Computer skills, Advanced MS excel is required.
? 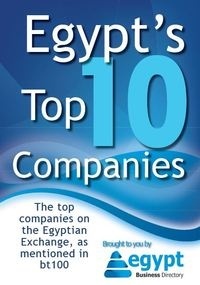 Excellent in Arabic & English (Reading, Writing & Oral).